Hello tree fam, I have been missing you all. These colder months get me on a bit of a one-track mind. Dormant season tree tasks dominate the schedule: pruning, and harvesting scion wood. I have had less time to keep you all informed of my goings-on in the pomosphere. To be sure, there are a lot of views, news, and ideas to share! As some of you may know, next week, I am going out to Chicago for CiderCon 2019 next Tuesday. I’m speaking on a panel about wild apples & their role in cider alongside some of the best in the business from all over the American map. Needless to say I’m very excited to be surrounded by such minds! The panel is Thursday February 7th at 10:15 at the Hilton Chicago! If you are going to be at CiderCon 2019, make a point to elbow your way into the conference room to see this panel! You won’t want to miss this. One of the reasons I feel so honored to be going is that there have not been such meetings of the minds on the topic of wild apples in cider. This is new territory to be exploring! 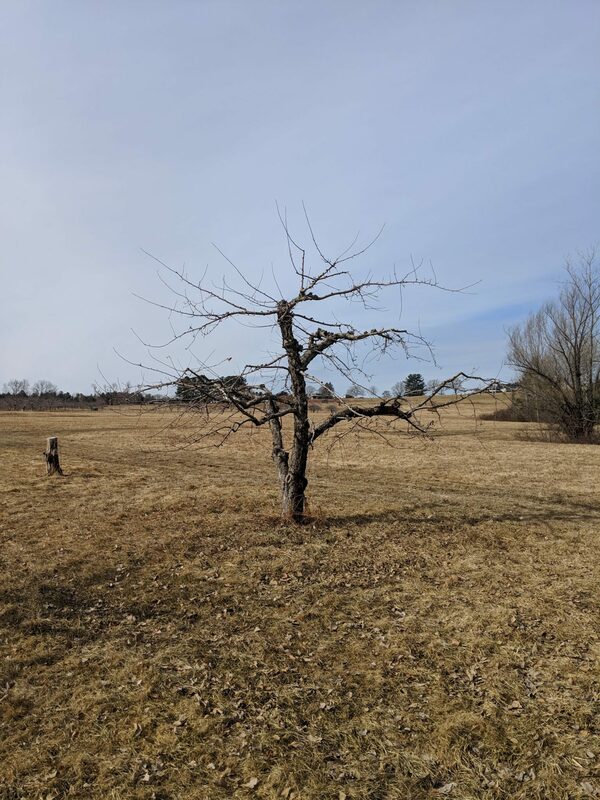 The work I do, this blog, and most importantly, the interest and support of all you who are reading this, represents the desire and the necessity that we feel for wild apples to hold a seat at the table in the ongoing conversations of apples and cider. These conversations are getting louder and louder, and for the US association of cidermakers to schedule time during the annual cider conference to open the dialogue about wild apples and their role in cider and apple growing in today’s pomosphere, is TREMENDOUS! So, hats off to all you who have emphasized your support for wild apples to this point. It made a difference, it mattered, and it will become more and more a topic of interest among circles that are really moving and shaking! Feelin’ the love, y’all. Pruning season may very well be my favorite time of year….Well, maybe not, if I really try and place myself back in the feeling of harvest time. When you really think about what pruning season is all about, it really is like the second harvest of the year. You are harvesting wood from the trees, which, in its multiplicity of sizes, shapes and forms, has abounding uses that are not often thought of when we think of the abundance of the wonderful apple tree. The forms that apple trees shed wood in are useful in so many different ways. For example, the smallest and youngest wood that will be harvested is the promise of more trees: the scion is the seed. Wood that is too old to use in grafting, but not big enough for firewood usually has a lot of tender bark and fruit buds on it. This wood is the best kind of wood to feed to animals. Our meat rabbits love to munch away on these medium sized apple branches. What livestock gain from dormant season harvest is renewable, cleanly sourced, natural nutrition and fuel for! The biggest pieces of wood that come off the tree, the oldest parts of big and unproductive branches, are used craft, artwork, and heating fuel. I use the large diameter pieces of apple wood for making the handles for pruning saws. And in these ways, we waste nothing, and put a lot of that energy back into the act of pruning apple trees, refining and improving them steadily and consistently each and every Winter. 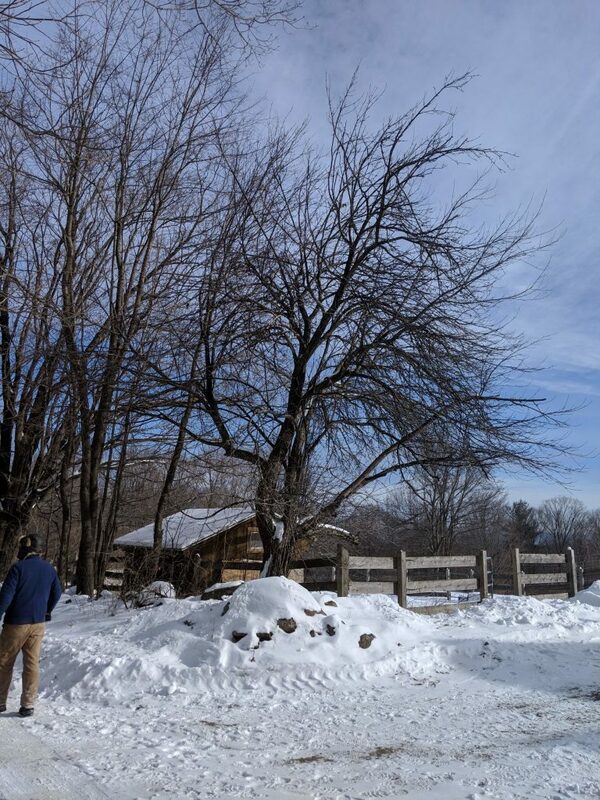 “Before” picture of an old, unpruned tree at the farm of a former pomology professor. “After” shot of the same tree. Check out @gnarlypippins on Instagram for the full story. 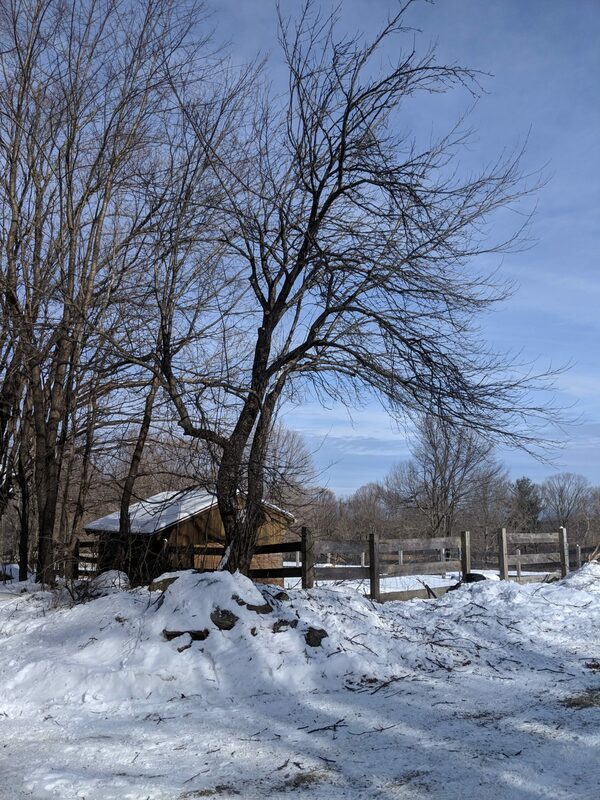 I’m pruning trees far and wide this year: 2 commercial orchards near my home in the Pioneer Valley, and then working and teaching private classes at numerous small homestead and remnant orchards that verge more on renovation-type and rebuild pruning around the region. PRUNING TREES IS JUST GOOD FOR YOUR SOUL. I am grateful that the work of pruning apple trees brings me to such beautiful places as these. I try to think about this thoroughly, and often. I have seen a large handful of orchards, and some are planned better than others. 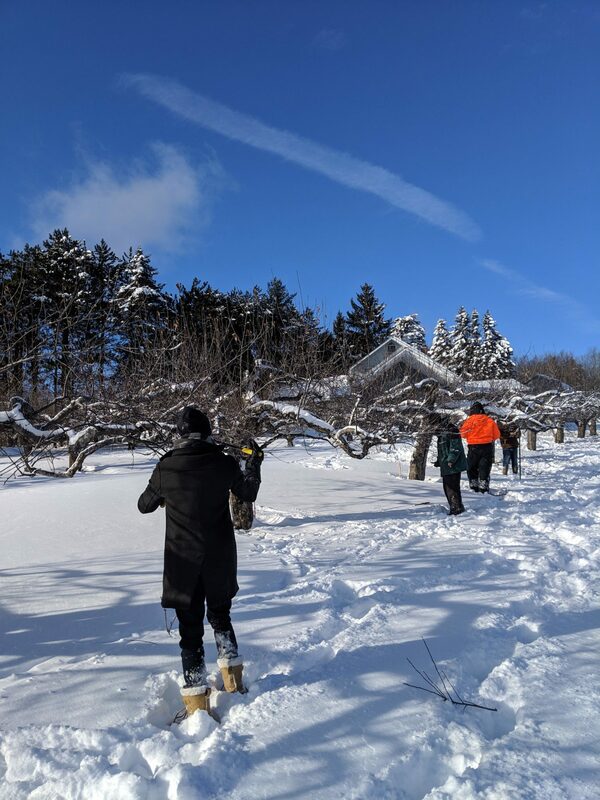 There are volumes that can be written (and many have been, by people more experienced than I) on the finer points of site selection for apple orchards. I have been in a few poorly planned orchards. In fact, I am pruning apple trees at one this winter. It is a very different experience to work in trees that are not growing where they’re most happy than working with trees whose environs helps them thrive. 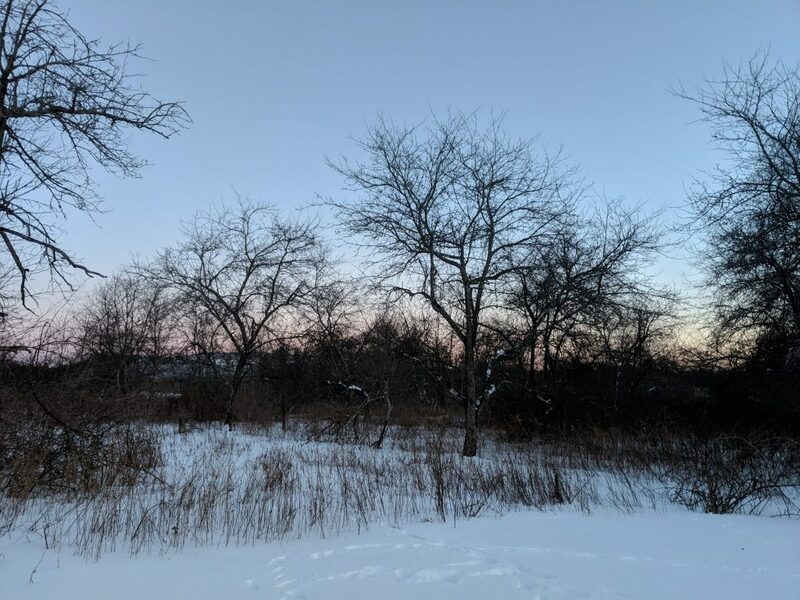 By foraging and observing apple trees in the wild, we can freely observe the types of places that wild apple trees choose for themselves as permanent homes. It is, more often than not, that we find ourselves in very beautiful, high places when foraging for apples in a serious kind of way. Apple trees are most happy with free view. Even though many of the pictures that I share of my wild apple finds are from higher elevations, in undulating-type terrain afield of more mountainous terrain (‘foothills effect’), this isn’t the answer to the question of where apple trees are happiest. The places we find them aren’t always beautiful hilltops and mountainous peaks, but just as often they’re found in sneaky corners of parking lots and fencelines in flat, urban zones. Finding the links between these two genres of place is key to understanding the apple tree’s whereabouts, where they’re happiest and why. I confess, I am guilty of personifying apple trees and trees in general. However, I think that using a humanized lexicon is a very useful thing for understanding the tip of this huge iceberg. Observing these trees over many different sites during the dormant season illuminates the picture even further. When the trees are dormant and bare, you can really see what’s going on, what’s happening under the hood. How the balance of fruit buds and leaf buds functions in a certain tree, in a certain place. Finding out what’s working and what’s not working for a given apple tree. Pruning the parts of the tree away which are not healthy and productive, vital, green, is really a spiritual act. It allows us to confront what about ourselves isn’t working, and how the area that we place ourselves in is affecting the type of growth that we are capable of. Apple trees and humans are such companions! Parking lot bittersweet pippin growing in a slim margin between pavement and brick that I call “Muscadet d’Haydenville,” whose scionwood may become available in the coming years. Wonderful wild apple tree bearing fruit along the banks of the Deerfield River near its headwaters in Vermont, el jefe Jonathan Carr in the foreground. Harvesting bundles and bundles of scion wood is a joy that I treasure every year. I will begin clipping scion wood bundles for distribution to those who have placed orders for wild apple scion wood in the second week of February. They will be stored in the cooler until they are shipped out to all those across the country who are expecting packages of wild apple twigs for grafting. 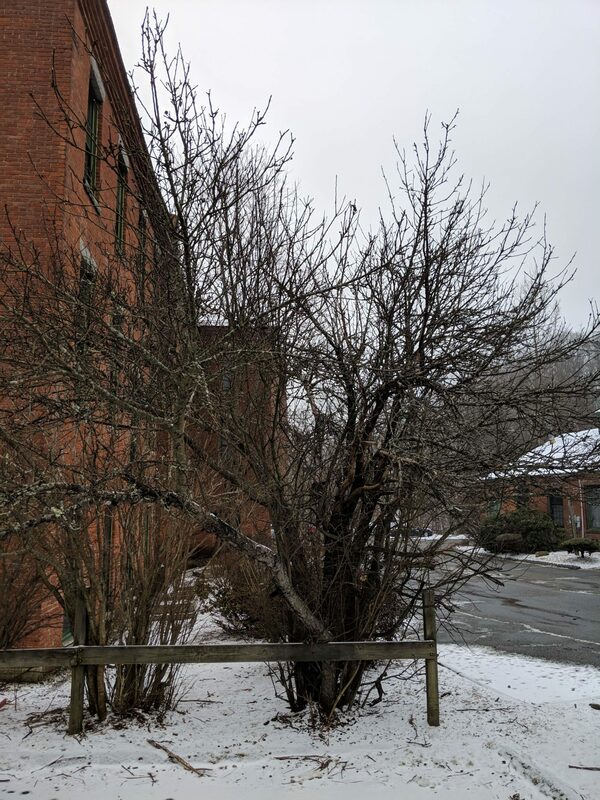 Surplus scion wood when orders close will be grafted and used in my soon-to-launch nursery in Hadley, MA at Carr’s Ciderhouse. 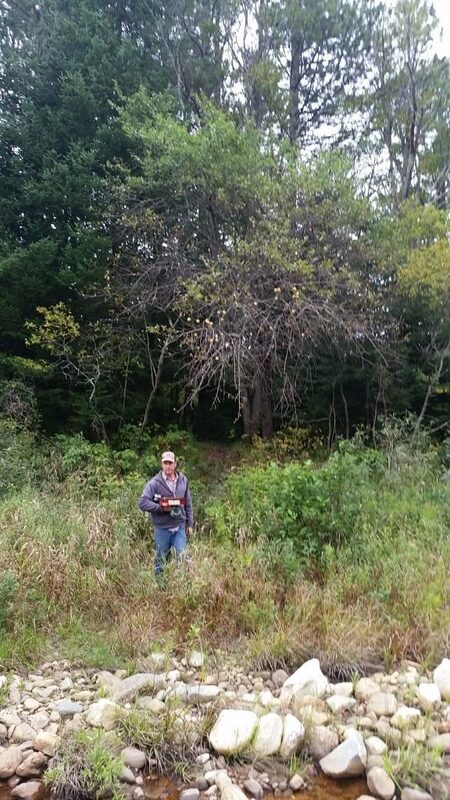 Stay posted on social media to see pictures of the process of harvesting scion wood, accompanied by pictures of each apple featured in my catalog and the respective mother trees! In preparation for my panel on wild apples, I have been ruminating on many questions that I think the general apple and cider populace will have for us all. One that has been sticking out to me is one that I don’t think there is a great, absolute, and certain answer to: When a wild apple is grafted, taken into cultivation, will it reproduce faithfully the same quality of fruit the original tree had? The best answer I can give, is a confident but very loose ‘YES.’ It’s a question with so many variables within it, that it is hard to set up a situation where we assume enough control over those variables to arrive at a binary answer. This is me grappling with this as best I can! None of the apples that I have grafted from the wild into any cultivated setting have actually given fruit yet. Out of the hundreds of grafts (topwork and bench grafted whips) that I’ve set of these wild selections, they are all still awaiting their first real crop. I have no actual data to share in this regard. However! It must be noted that many many others have, and there seems to be a unanimous agreement out there. These apples are DEFINITELY subject to differences in fruit quality, chemistry when placed within the context of the cultivated. It’s definitely an area of study shrouded in a little bit of mystery for growers. This query is mirrored by the work that a group of New York Cidermakers (Ryan Burk, Gidon Coll, Dan Pucci) in collaboration with Darlene Hayes (allintocider) have been conducting on the differences and similarities between specimens of the Yellow Newtown Pippin when grown in different regions. Their project highlights what sorts of differences each region’s specimens exhibit. The question about the domestication of wild apples is really not so different than this work, except instead of examining the differences of an old, widely propagated and known variety across many regions, we are examining the differences of a novel, unknown and unpropagated variety from its state of nativity, across the threshold of cultivation. This contrast is temporal: millions of grafts have been made from the Newtown Pippin, just as well the Dabinett or Roxbury Russet. Novel varieties have not even crossed the threshold of a single graft from the mother tree. “Old” roxbury russet, looking very different from the roxbury russet grown at many commercial orchards several towns over. “New” roxbury russet looking very different than the other specimens. The “same” apples vary between sites and time periods. That’s it. So, what is it about the invisible threshold of the graft union that changes the apple? What of tree age? Soil chemistry and composition!? Roostock?!? Number of degree days?!!? Chilling houur——- STOP! Now, we must hold our tongue from asking what every single variable will do to affect the newly-cultivated variety, or else the tentative answer ‘YES’ IT WILL BE DIFFERENT’ is muddled even further. I will mention that our history books shed some light on this. All apples that we now cherish started as seedlings. They would have had to undergo this very same process of transition from pippin on a hedgerow, to one in a line of a million grafted on standard rootstock. ‘What did an apple from the original tree taste like?’ ‘How does this one taste?’ How is that question any different from asking: ‘What is different about the fruit of my Massachusetts-grown Dabinetts than Dabinett Trees grown near the place where the variety originated?’ We allow time to smooth over the gaps in our understanding, to the point that we now assume a Dabinett tree from England and a Dabinett tree in Massachusetts, though they may look different and produce slightly different tastes, are, ultimately, the same. Again, this question is not only spatial, it is also temporal. Lest we break out the microscopes and get heady with it, I think this assumption ought to be addressed. We cannot assume that Yellow Newtown Pippin from New York and Yellow Newtown Pippin from California are the same. They aren’t. Very different in fact, but that does not detract from our idea of its worthiness. So, it must also be made clear that we should scrutinize differences between specimens from the original and graft propagated wild apple tree such as Old Fertile, Nailbiter, or Juicy Juicy Pineapple, but not divert our praise away from them as worthwhile apple selections if we find any differences between wild and cultivated — it is in knowing these differences intimately that we can better use novel apple selections from the wild. Befitting of the needs and preferences of the modern fruit growing industry, some academic institutions have even jumped onto this question. 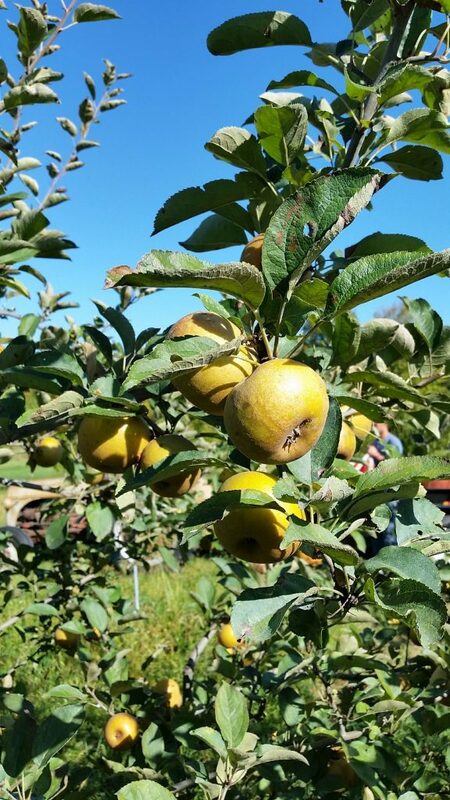 It’s such a pressing issue with the amount of new cider apples being introduced, that thorough trialing is necessary to shed more light on the differences between a pippin in its state of origin and how it performs in cultivated settings where there is a high degree of manipulation and agency being taken. We ought to proceed apace with the work of finding new apples and grafting them. 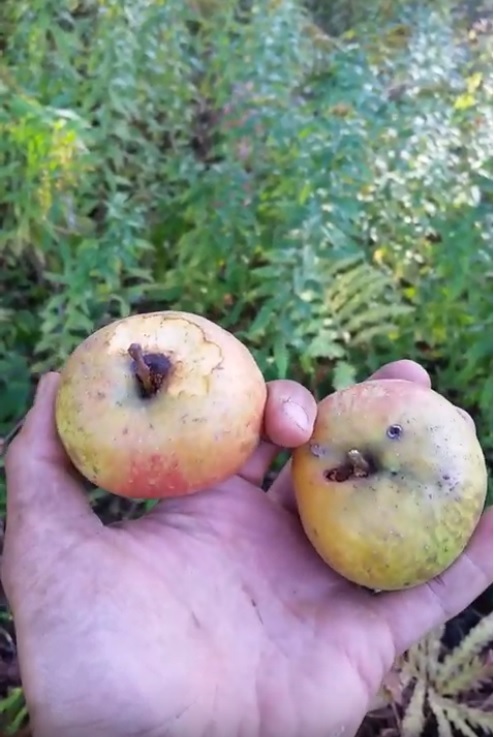 This dilemma isn’t unique to OUR domestication of wild apples, it is the replaying of a question that many have addressed in the past, when the accepted convention of apple breeding was more of a lottery system. In fact, I think we can safely say that we are privileged to be having this conversation in an age when there are many folks grafting wild apples, which, in coming years, will be producing fruit which can be compared and overlaid with their progenitors, the original mother trees. This position is a privilege, because, as with Yellow Newtown Pippin, Dabinett, Roxbury Russet, and all these great apples which we praise, we will never have the opportunity to taste the fruit from their original trees! They have been lost to time. But now, in this new age of wild apple cultivation, time is on our side. Stir on that. Tell me what you all think. Thank you so much for reading, I really appreciate it more than I can say. Until next time!